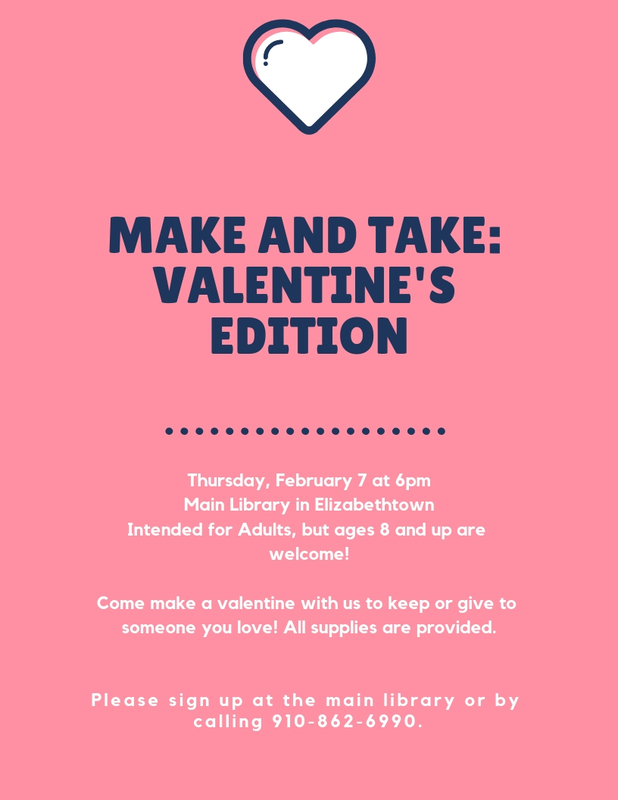 The Bladen County Public Library in Elizabethtown will hold a Valentines Make It and Take It event on Thursday, February 7, at 6 p.m. The event is for adults but children ages 8 and up are welcome to attend. You can make Valentine for that special someone or to keep for yourself. All supplies will be provided. The library is located at 111 North Cypress Street in Elizabethtown. 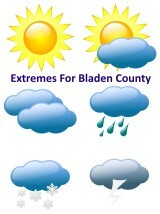 Call 910-862-6990 to pre-register.